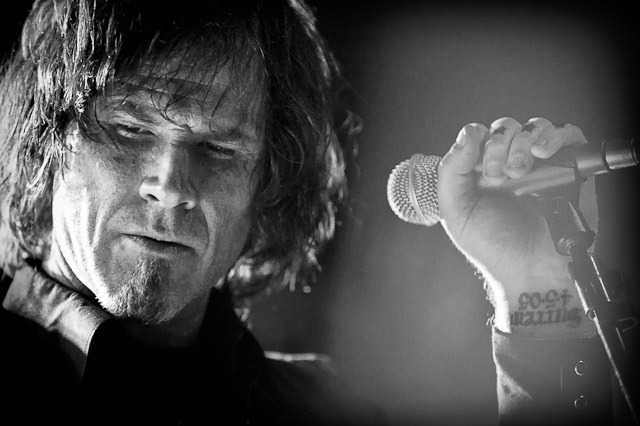 Mark Lanegan is kind of musical Chameleon. You can find him singing with one group on Sunday, Listen to another cooperation on Monday and then forget it all when you hear him with the third band on Tuesday. Some of the critiques compare him to legendary Tom Waits, with whom he shares the experimental standpoint and the cigarette-crooked voice. Staring with the Screaming Trees in the mid-80's, he joined Queens Of The Stone Age for three albums and then found new home in the arms of former Belle And Sebastian singer, Isobel Campbell. It seems that he's never get tired of creating music and continue to innovate every day by joining new collaboration. So for his new collaboration with multi-instrumentalist Duke Garwood, with whom he'll release on 15 of May their debut album Black Pudding, here are five collaborative songs which I like.